This St. Philip Neri vestment is made of Brocade Fabric with Cross design. The orphreys are made of high quality velour fabric and AM (Ave Maria) embroidered with flower design in Metallic Gold yarn. The entire mass set including the stole are made to match the chasuble. 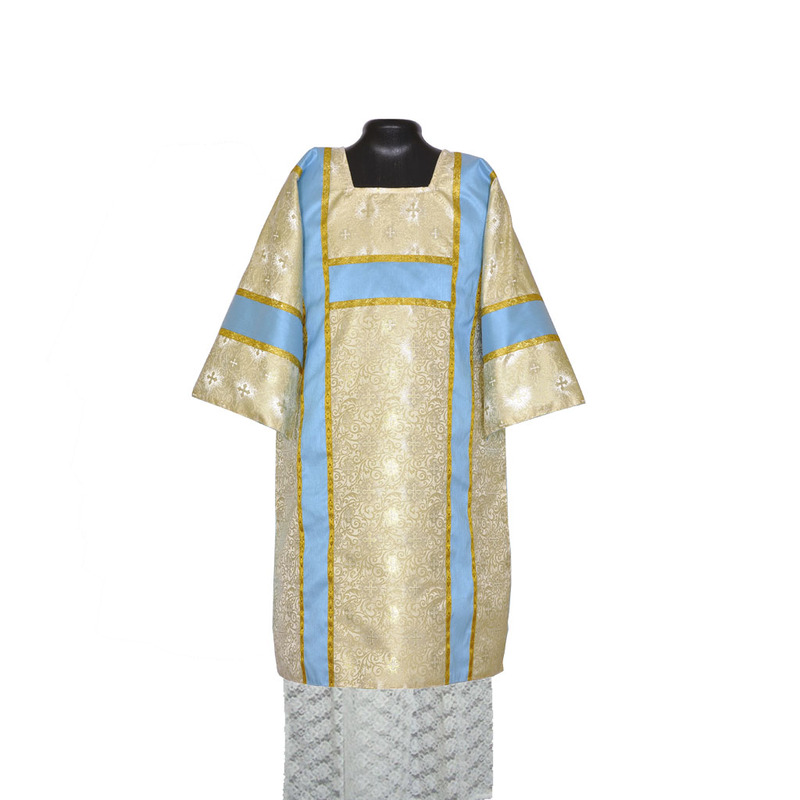 LINING: The vestment & the complete mass set is linked with matching satin fabric.